Little known to Beth that while she slept, the lemon which was gently laid upon her window sill began to change. The lemon began a metamorphosis. During that first night, the changes were gradual. The lemon's oval shape slowly transformed, taking the shape of an hourglass type of shape. The bottom of the lemon slowly adapted a point-like tip. So gradual was the metamorphosis, so minute was its initial transformation that it would have gone unnoticed by anyone else but Beth. The lemon soaked up the warm sunlight into its pores during the early hours of the morning. Rather than ripen, as would be expected of freshly picked fruit, the lemon resumed its metamorphosis. Its transformation was fueled by sunlight, just as a plant grows with sunlight. This transformation was directed towards the goal of attaining locomotion, a means by which the lemon could move independently in order that it may disperse its seeds rather than remain dependent upon mammals for the dispersal of its seeds. The lemon's DNA was pre-programmed. Within the DNA was the code for a new creature; a new life, an intermediate form between plant and animal. Once transformed, the new form of life would have independent mobility directed by a functioning brain and nervous system. The initial physical changes of the lemon had been barely detectable. Nevertheless undetected, the internal physical changes were great. In the interior of the lemon, hidden from view by its thick, yellow rind, a brain and nervous system had begun to develop, along with rudimentary organs. The order and process of the lemon's transformation was similar to the development of an unborn animal. It was clear that the fruit was destined to transform into a living creature. Nonetheless, at the current stage of its development, the type of creature could not yet be known. Nor did the subtle physical changes give any clue or any indication of the extraordinary changes occurring within the lemon. One morning, Beth abruptly woke up startled. She had felt something brush up against her cheek for a brief moment. She sat up in her bed and looked around. 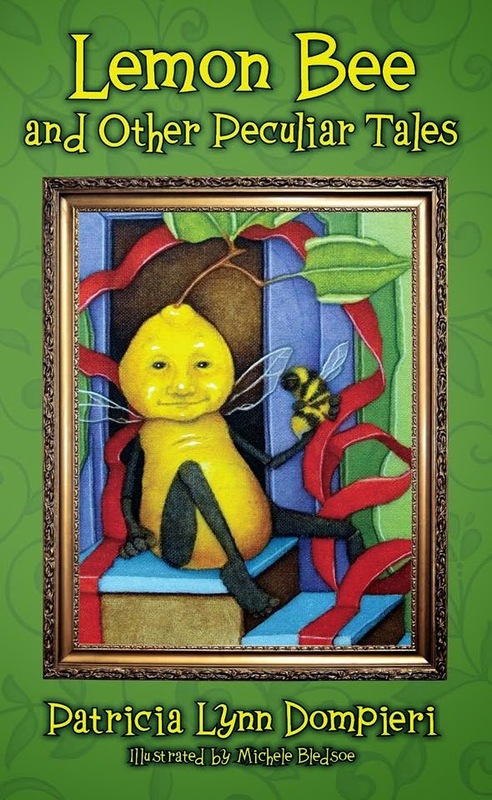 She saw the lemon fluttering around the room, quickly flapping its wings. Its body was swaying from side to side. It sounded as if it was singing. No words could come to her mind. She did not know what the creature was or what to think. "A lemon bee!" She screamed with excitement. That was the first thought that came to her mind when she saw the lemon clumsily flying around the room. Its miniature, shiny, black arms and legs were dangling beneath its body. In its tiny, waxy hands it had its little human-like fingers wrapped around an unidentifiable object. Upon closer inspection she saw it was a piece of a candy bar that had been lying upon her desk for days. Slowly, the lemon glided downwards, landing on its two feet on top of the dresser. Surprisingly, with great agility, the lemon bee wobbled using its two legs, walking upright until it reached the ledge of the dresser. Bending its body it crouched down, putting the melting piece of candy at its feet. It used its tiny hands to grab pieces from the gooey candy bar. Quickly, the lemon shoved pieces of the candy into its miniature mouth with its sticky little hands. The lemon was eating! It appeared to be very hungry. Beth jumped around in happiness and amazement she cried aloud in excitement. "It is alive!"